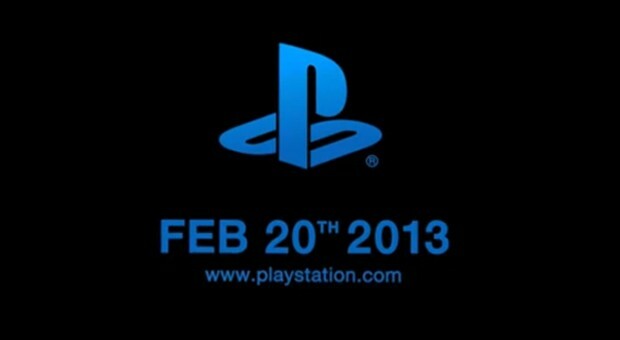 February 20th is undeniably the most anticipated day of the month for any gamer out there. This Wednesday marks the "Future of Playstation" conference; an event that'll pay homage to Sony's recent achievements and hopefully, the reveal of the Playstation 4. With numerous publications reporting from various sources that this event will indeed mark the reveal of the PS4, the gaming community has blown up with speculation on what exactly the reveal will entail. From price ranges, to day one features, everything is simply speculation for now, but here's my top three predictions that I think will come true on Wednesday evening- along with a wildcard! Perhaps the biggest talking point of the PS4 has been the price. During the PS3's maiden year, we seen Sony take a massive hit in the market due to it being grossly overpriced. At $600, gamers were simply unimpressed by it, which resulted in Sony falling far behind in the console footrace. Hopefully, Sony have learned their lesson from their past endeavours and decide to price the PS4 with a more sociable tag; which I think will be $450- not the previously reported $399. Granted, they'll be selling the console at a loss, but if they get people onboard, they'll make that cash back, plus substantial profit, from software sales. Last week, a prototype controller for the PS4 was leaked, which left a wealth of Playstation fans in disarray. Many people were quick to criticise the redesign; particularly the touch pad seen in the middle of the dpad and face buttons. Personally, I think that the controller we see packaged with the PS4 will be almost identical to the one we seen in the leaked pictures, with only a few minor tweaks being made - such as the seemingly small thumbsticks being enlarged. This is the biggest contributive factor to my price prediction; the costly hardware of the controller will rocket the PS4's price by $50 in my opinion! To draw in as many gamers as possible, Sony will need to bundle the PS4 with enticing features - this is where I think they'll fall short. The most speculated feature is Gaikai: an online streaming service similar to On-Live that Sony recently acquired for a staggering $400 million. Many industry experts believe this will be part of PS4; allowing players to play via cloud gaming; which has been tipped as the future of gaming - and also the beginning of the end for high street game stores! I agree that Gaikai will be part of the PS4, but not during day one. I think we'll see Gaikai come into effect a few months after the PS4 hits stores, as I don't think they've had enough time (yet) to iron it out to fit their console! What's a prediction article without a wildcard? My Wildcard for this event is that it won't be for the PS4 at all, and that Sony will only hint about the console at best. Instead, it'll be all about Gaikai. Personally, I think it's ludicrous how Sony forked out $400 million for the service, yet they've still not mentioned it at all. So, with that said, I think the event will be all about how Gaikai will carry Sony out of the current generation, and into the next through the coveted art of cloud gaming; with them only mentioning at the end that we'll see it as a major part of their next console. So what are you're predictions for the event? Leave them in the comments below - feel free to throw in your own wildcard! And of course, be on the lookout on Wednesday night for our coverage of the event on the Homepage!